For the education statistics I’ve published for the three regions of Coastal Andhra, Rayalaseema, and Nizam Telangana, many have claimed that the numbers are misleading. The chief claim is that the numbers include public and private education. The separatists have argued that Nizam Telangana was discriminated when it came to government expenditure on public schooling. I have done a quick analysis on primary and high schools and the results were revealing to say the least. The data for the below given analysis was sourced from the Statistical Abstract of Andhra Pradesh 2007. I have used 2001 population numbers to normalize student population. Government aided schools are made up of: Central Government, State Government, Zilla Parishad, Municipal, and Aided Schools. Let us start our analysis with primary school students in government aided schools. As you can see, the numbers speak for themselves. There are more students supported by the government in the Nizam Telangana region than in the other regions. I urge my Kosta and Seema brethren to not make too much noise about it, as the difference is fairly negligible. I think the important note all of us should make is that there is no apparent discrimination across regions. The number of teachers indeed is fewer in the Nizam Telangana region. However, the difference is not significant. So, I urge my Nizam Telangana brethren to exercise restraint and wait till we get to the high school student numbers. Again, let me underscore that there is no visible discrimination between regions. 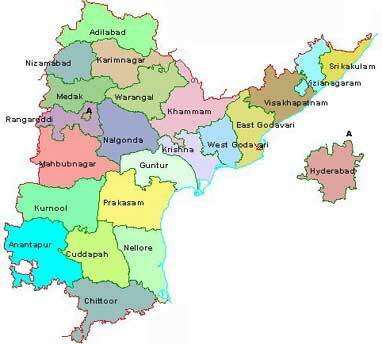 In this category Nizam Telangana leads other regions. In fact, the numbers get better when Hyderabad and Rangareddi are eliminated. That is partly because of more emphasis on private education in Hyderabad and Rangareddi districts. Again Nizam Telangana leads in the number of teachers category in all combinations. There are 12 government aided teachers for every 10000 people in Nizam, compared to 10.8 in Kosta and 10.7 in Seema. In conclusion, the above data clearly shows that there is no evidence whatsoever of discrimination against Nizam Telangana. When the state came into existence, thanks to Nizam’s atrocious rule, education in Nizam Telangana was in shambles. We’ve made significant strides since then. As usual – a great piece. Thanks for sharing this with us. I am not familiar with the latest stats, but I am familiar with history. I will start posting some historical facts about Telugu people which will expose some of the lies of those hate-mongering separatists.